Make your big break with this bootcamp. Want to make it in Hollywood? You don't have to spend thousands on expensive film school. Learn how to write, produce, and distribute a film with Film & Cinematography Mastery Bundle: Lifetime Access. This bundle offers a bootcamp in video production, as well as a masterclass teaching you everything you need to know about cinematography. 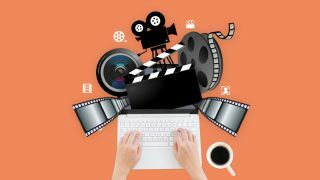 You'll also learn some essential skills that will arm you for writing and distributing the film that could be your big break into Hollywood. Get Film & Cinematography Mastery Bundle: Lifetime Access for $29.